Peachtree Publishing Company, 9781561458257, 36pp. George loved words. But George was enslaved. Forced to work long hours, George was unable to attend school or learn how to read. But he was determined--he listened to the white children's lessons and learned the alphabet. Then he taught himself to read. Soon, he began composing poetry in his head and reciting it as he sold fruits and vegetables on a nearby college campus. News of the slave poet traveled quickly among the students, and before long, George had customers for his poems. But George was still enslaved. Would he ever be free? 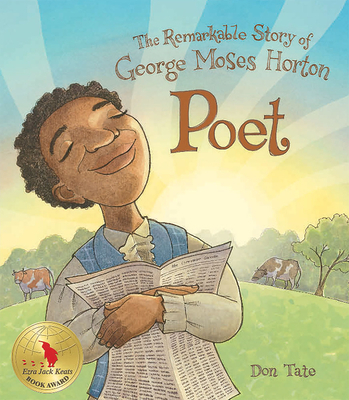 In this powerful biography of George Moses Horton, the first southern African-American man to be published, Don Tate tells an inspiring and moving story of talent and determination.